"Each time we have an event where you are heard, I receive an overwhelming amount of compliments and inquiries on you and your band. "-T.Wescott, Executive Asst., Amgen, Inc.
Joyce Garro is a dynamic and professional singer, actor, entertainer, musician who continues to touch the hearts of people everywhere through her gift of song. Joyce sings jazz, popular music, gospel, and standards from the Great American Songbook. Joyce is available to perform solo, singing while accompanying herself at the piano, to various group combinations of great musicians to fit your budget. 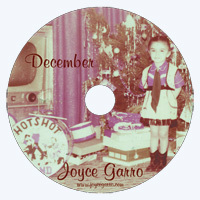 Check out some music samples below, see Joyce's performance videos, read her biography, look at photos in the gallery, or contact Joyce for booking information. 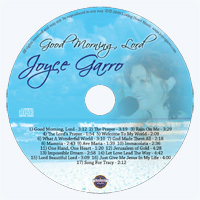 Listen to samples from "December" and "Good Morning, Lord"
To buy 'Good Morning Lord', click the CD Baby link below. Enjoy more samples of Joyce singing: Al Di La, The Look of Love, Do Nothin' Till You Hear, Our Love Is Here To Stay, Honeysuckle Rose.